Hi there! Hope you all had a good weekend and your week is off to a good start. Unfortunately I lost most of yesterday to a migraine which really sucked especially as it was the first beautiful day we've had in a while. :( However, I got a bit of crafty time in today and have two cards to share. 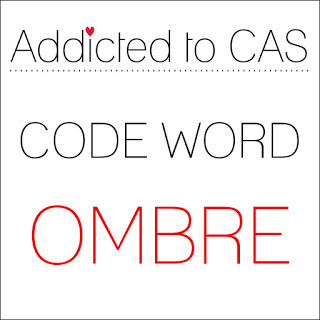 For this card I used the colours from the CAS Colours & Sketches challenge and am also playing along with the Addicted to CAS Ombre challenge. 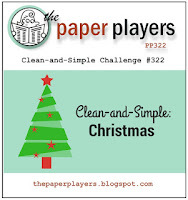 I'm also going to enter this in the CAS Christmas challenge at The Paper Players. I paired some Altenew ornaments with a Hero Arts sentiment and added gems for a little bit of bling. This card uses the current ColourQ colours. Except for the sentiment these are NBUS stamps from Winnie & Walter. I had fun putting together the flower elements and I used the reverse side of the vase stamp to "colour" it in. Everything is popped up on foam tape at different heights for some fun dimension. Thanks for playing along with us at CC&S! Love the blue ornaments and the tiny group of bling under the sentiment! That may be as bad as the excruciating pain... the utter waste of a day. :( Glad it has subsided. On to the cards. I can CASE your use of bling on ornaments, right? You won't mind? ;) Beautiful in blue. (Oh, I have the same sentiment, too. I can just make this mine. haha) Second card... such great rich fall colours! 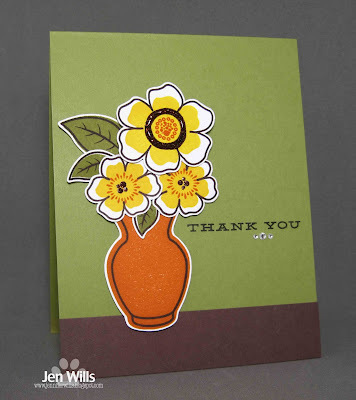 Love the reverse stamping of the vase for colour. Such a pretty Christmas card. 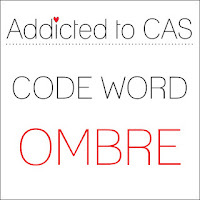 Love your ombre design. Thanks for sharing at ATCAS! I like the bling you added to your ornaments Jen, pretty card! And your vase of flowers is just lovely. Thanks so much for joining us at ColourQ! Your use of color is phenomenonal in these two cards. The combination of challenges for your 1st card made for a stunning CAS Christmas card! LOVE your use of color on the 2nd card, rich and lovely! 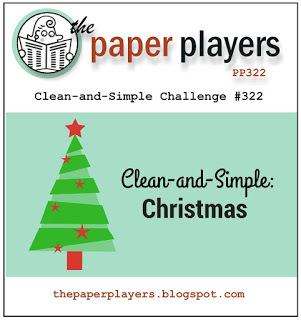 Hugs to you and thanks for joining us at The Paper Players this week! So glad that you are feeling better Jen. ps I've always got a soft spot for a bauble, and your card is so elegant! 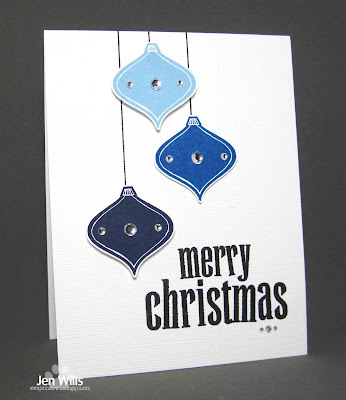 Love these baubles and how crisp they look in shades of blue...fabulous card. Thank you for joining us at The Paper Players! You have two nice cards here, but the Christmas one is what brought me to your blog. I like that the ornaments are a traditional seasonal image, yet these particular images give a modern feel. I also like how you've replicated the pattern of the gems on the ornaments with the gems below the sentiment - what a super little detail! :) Thanks so much for sharing your card in our birthday celebration at CC&S. I hope you'll join us again soon for another challenge. Love your blue ornaments, and they look wonderful matched with that bold sentiment. 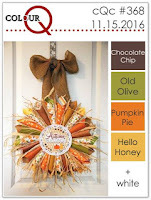 And, your pretty flower vase is the perfect way to use the colors at ColourQ this week. Thanks so much for playing along.